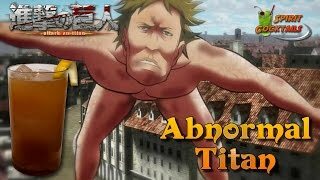 My own creation, inspired from the Anime or Manga "Attack On Titan". 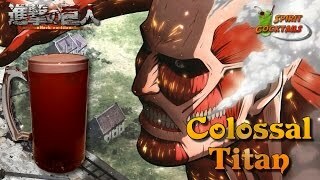 The Ice Cream resembling the Colossal Titan, while the liqueur mix resembling the Scouting Legion. 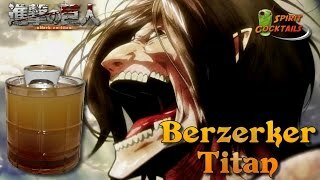 Added Jagermeister because the main character name is Eren Jager, he's a member of Scouting Legion which battling Titan. Put a scoop or a cup of Strawberry Vanilla Ice Cream to the glass. Mix Jagermeister, Rum, and Baileys into the shaker with an ice cube. Shake well till cold. Pour the mix into the glass, garnish it with a cherry on the top.